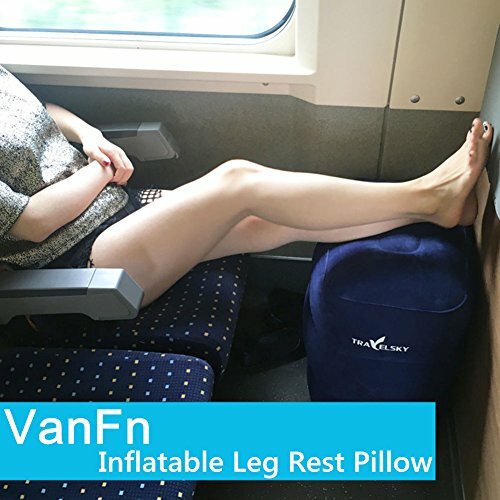 ☆ Relieves Lower Legs/Feet Pain & Tightness - If you've ever experienced pressure or tightness in your lower leg from sitting, then the VanFn air travel leg rest pillow is your answer! This is a great solution for long flights, gets your legs up for a good rest and better circulation. Improves circulation and can reduce swelling by raising the legs. May help reduce the risk of dvt (deep vein thrombosis) helps to relieve back pain from sitting for a long period of time. 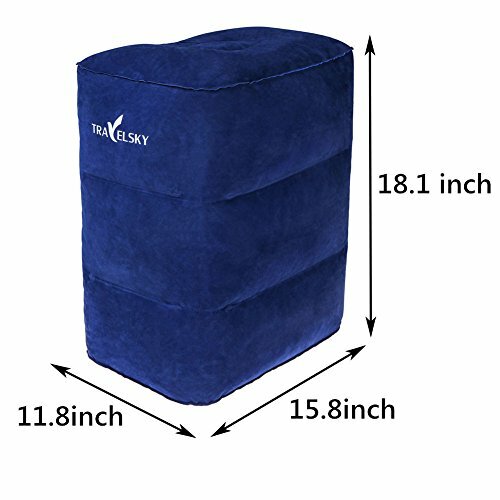 ☆ Multiple Uses - This pillow easily creates an extended flat platform for kids to play, relax and sleep. 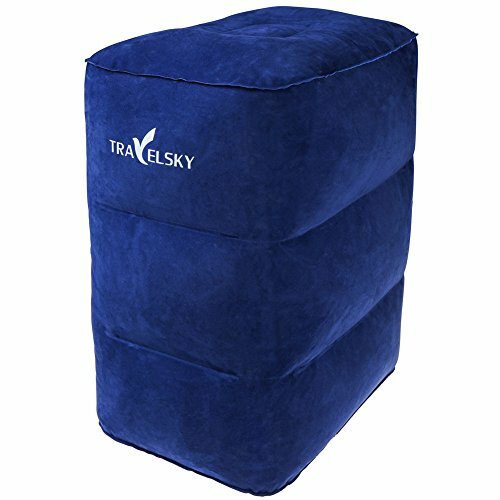 Perfect for maximizing the confined and cramped space of airplane/car seats. You can also use it for many other purposes. Such used as a chair while waiting for flights at the airport. It can also be used at the office or at home and you can always carry it with you when you go camping. 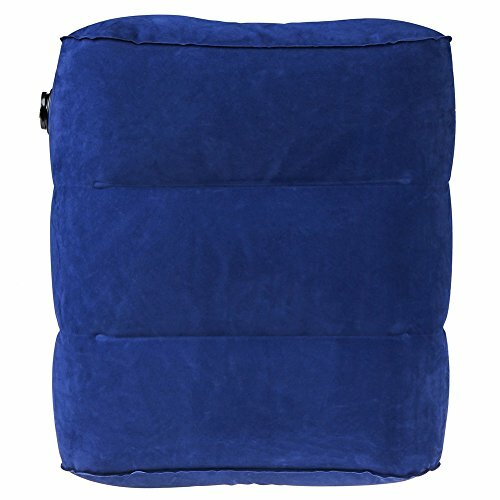 This camping pillow is the perfect companion for those traveling in planes, cars, trains or more. 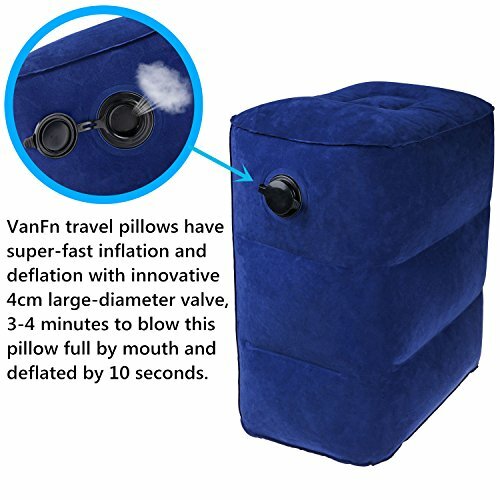 ☆ High Quality - VanFn inflatable pillows made of soft and healthful super-thick flocking fabric and PVC material, have super-fast inflation and deflation with innovative 4cm large-diameter valve, 3-4 minutes to blow this travel pillow full by mouth and deflated by 10 seconds. 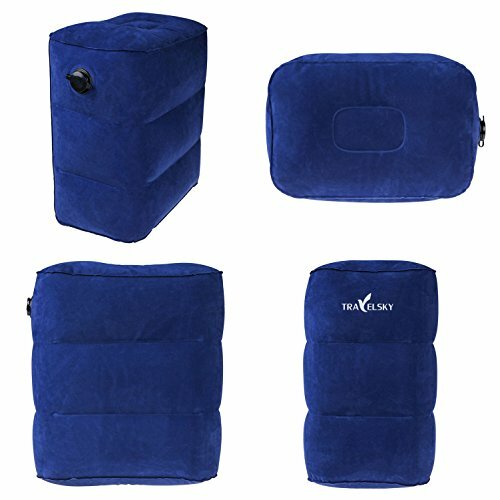 Can be compressed down to a small size and stored in a matching storage bag when not in use. Size: 18.1 x 15.8 x 11.8inches (when inflated). 9.8 x 7.9 x 2iinches (when folded). 1lb weight only. 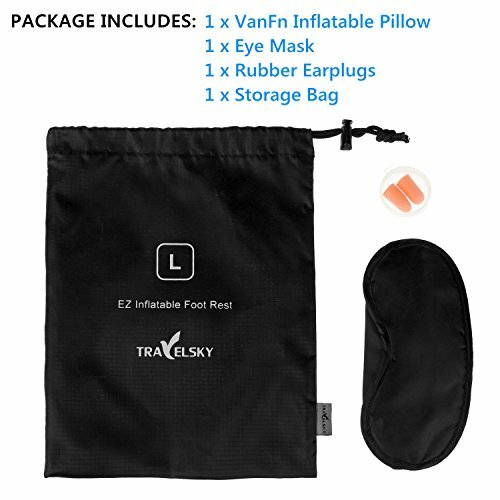 ☆ Care About Your Trip - Items Include: 1x VanFn flocking fabric footrest pillow, 1x eye mask, 1x rubber earplugs and storage bag. Enjoy our comfortable eye mask specially designed to block out all light using a unique feature that contours over the nose. Plus, earplugs drone out loud kids, music and engines for a peaceful journey. ☆ VanFnShop 100% Satisfaction Guaranteed - We are so confident in the quality of our product that we offer a 60-days satisfaction guarantee! If you are unsatisfied, please feel free to contact us to return the product for a full refund. (1-2cm error of measuring is a reasonable range due to different measurement methods). Held air and worked well. 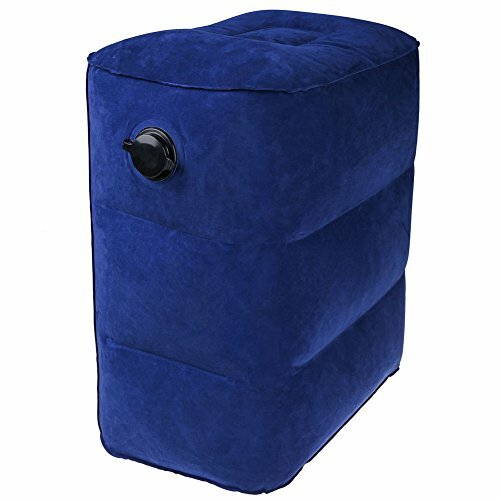 Works well and holds air, the last one I purchased elsewhere didn’t hold stair. Buy and Earn 1379 Points!